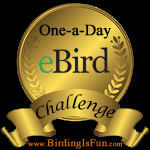 This entry was posted in Birding Items and tagged Birds. Bookmark the permalink. Thank you for posting the link to that podcast. I had a Hooded Warbler in my Calgary yard one year, and the word quickly got around in the birding community. That story was so familiar, I laughed until I had tears running down my face! That must have been quite the experience. The story is so funny it had to be shared.